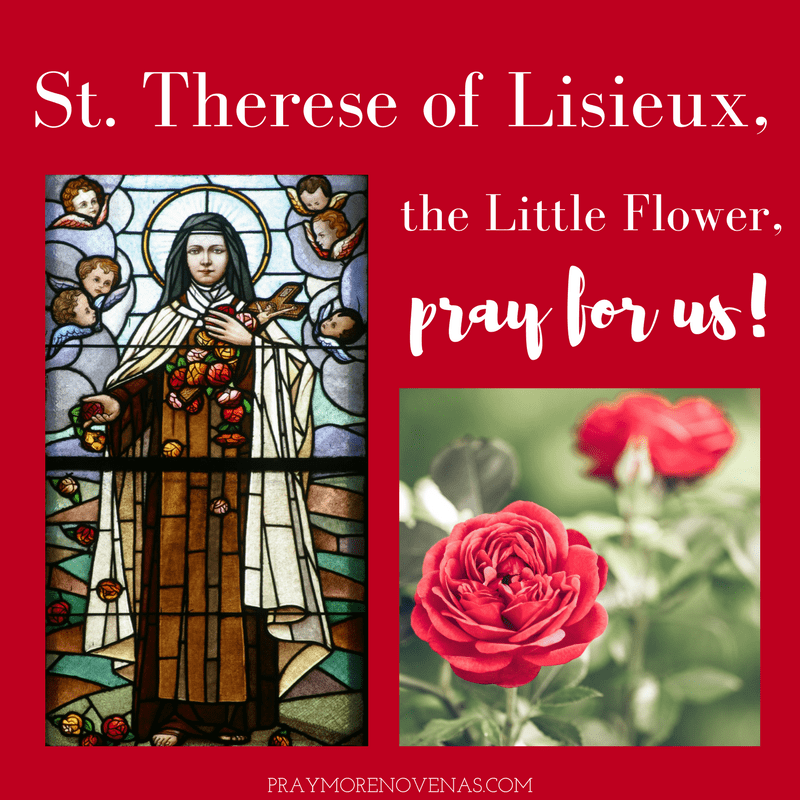 Here’s Day 8 of the St. Therese of Lisieux Novena! Please pray for me and my future husband Brian to have healthy and happy biological children naturally as soon as possible because we are older than most parents. Also, pray that my twin nephews and Brian get along like a true family and that they grow up to be healthy and good men. Please pray for all of us and our family and friends to live a long healthy and happy life. I ask this in Jesus mighty name! Amen! Thank you Saint Therese for your loving kindness! Love always your friend Brenda F.
Thank you for your faithfulness as you minister powerfully to so many as you call us to pray more Novenas. Each time I join with you and so many others, I experience fresh blessings from the Lord. I underwent triple-bypass open heart surgery earlier this month and am still recovering. My prayer intention is for a complete recovery and a new passion to live my life for Christ. I’m also asking for a healing from diabetes (if God so wills) or a renewed self-discipline to deal with this disease. Please pray for my sister to complete her trac meet without injury and for the repose of my great uncle’s soul. I will pray for you and your friend’s and families’ intentions.